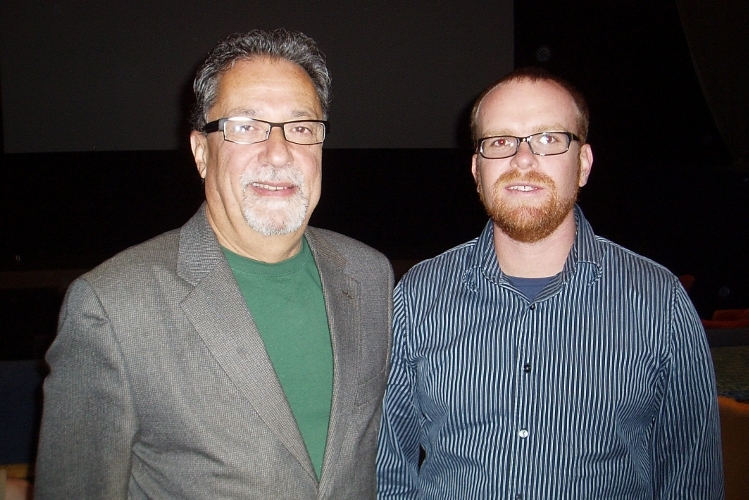 After watching the sneak preview of Don’t Let Me Drown, Number One son and I sat down with Henry Maldonado, the President of the Enzian Theatre and the Florida Film Festival to ask him what he wanted the public to know about film festivals. “Too many film festivals have become a marketplace,” Henry explains, lamenting the fact that at Sundance and Toronto Film Festivals, too many filmmakers are working to secure a deal to get their independent film released to a wider audience and not really having the time to enjoy the festival. “Is there anything you would like people to know about the Florida Film Festival?” I ask. “Yes,” Henry quickly replies, “Don’t be intimidated by the film festival.” He continues to explain that when you come to a film festival movie, it is no different than going to any other movie. The tickets are only $10. The parking is right in front of the theatre. You can even buy popcorn. 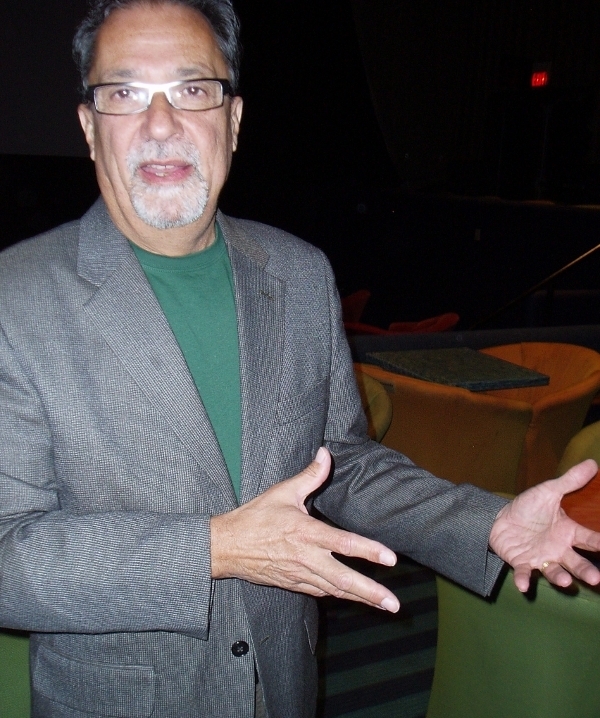 Prior to becoming President of the Enzian and Florida Film Festival, Henry was a board member of the Enzian for nine years. During most of that time, he was also GM of WKMG, local Orlando Channel Six. Before that, he worked as a documentary producer at WGBH, a public broadcasting station in Boston, as well as at WDIV in Detroit, WCBS & WNBC in New York and WBZ in Boston. It was clear from our conversation that Henry loves film, loves filmmakers and loves the Enzian Theatre. “Did you know that The Blair Witch Project was shown here, in this very theatre, for the very first time?” he exclaims as he sweeps his hands across the theatre. I knew that The Blair Witch Project was made by local, Orlando area filmmakers. But I did not know that they screened the original movie at The Enzian and got feedback on it. Henry explained that the original movie was three hours long and, based partly on the feedback they received, was cut back to its current length. Yes it is! And when you do, see if Henry’s around. 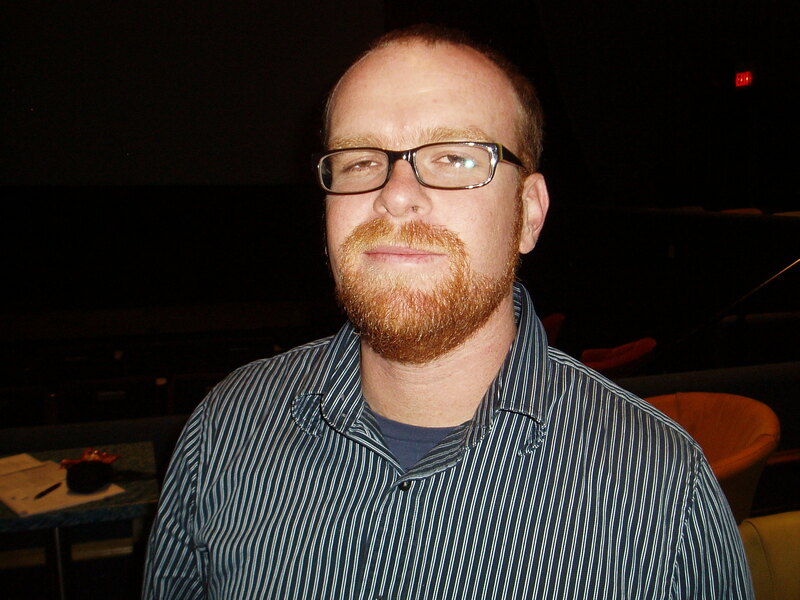 He’s the kind of guy who would love to bend your ear and talk about his passions–like the Florida Film Festival, independent movies and the Enzian Theatre. What a great combination. For the lucky readers of my blog searching for “more than a mouse”™ the Enzian Theatre is a great place to discover. Members of the press were given a sneak preview of Don’t Let Me Drown, one of the narrative films that will be shown at this year’s Florida Film Festival. …To live in one of the low income neighborhoods in New York City? …To be an illegal immigrant, constantly worried that you’ll be caught and deported? …To have someone close to you who died in the attack on the World Trade Center? Don’t Let Me Drown paints a realistic portrait of these issues and the impact they have on a group of teenagers and their families. It’s not preachy, there are no “messages,” and “happily ever after” does not exist. There is love, anger, tenderness, concern and perhaps redemption. The movie is filled with poignant humor and nail biting tension. It’s gritty, raw, real and definitely not escapist. The direction is excellent. Director and co-writer Cruz Angeles uses just the right amount of hand-held shots to suggest realism without making the movie appear amateurish. The film does not have any huge, bankable stars and introduces two new actors. The acting is good enough to convey the experiences of the characters. It drags a little as the characters are established during the first forty-five minutes. After that, the tempo picks up and the story becomes more engrossing. In one particular scene in the middle of the movie you watch a family hold each other tight as they watch an earlier home video of their daughter; made before she was killed in the September 11 attack. It will bring tears to your eyes. This is the kind of movie that will never find wide release at your local Cineplex. For those of us who appreciate film as an art form and who love to watch movies not just for entertainment but also for what they can teach us about real life, this movie foots the bill. It was nominated for the Grand Jury Prize at the 2009 Sundance Film Festival and was also nominated and won a couple of other honors at various smaller festivals. It’s just one of many such movies you can enjoy for only $10 a pop at the Florida Film Festival from April 9 to 18, 2010. Sometimes the filmmaker will watch a movie with you and be available afterwards to discuss their work. It’s just one of the many things that make the Florida Film Festival so special. 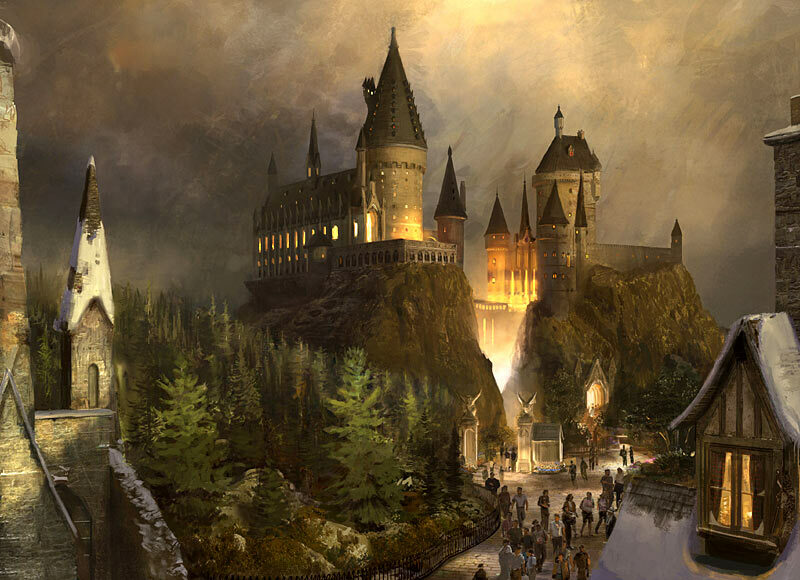 Harry Potter and the Forbidden Journey draws you into the excitement and chaos of Harry’s life. As you venture through Hogwarts castle, you meet Harry, Ron and Hermione who convince you to skip a planned lecture and follow them. Upon taking their advice, you travel by Floo powder, and begin the adventure as you soar over Hogwarts, narrowly escape a dragon attack, have a close encounter with the Whomping Willow, get pulled into a Quidditch match and more. The entire experience, including the queue, will take about an hour. It has 12 scenes and the creation of the score was overseen by John Williams. 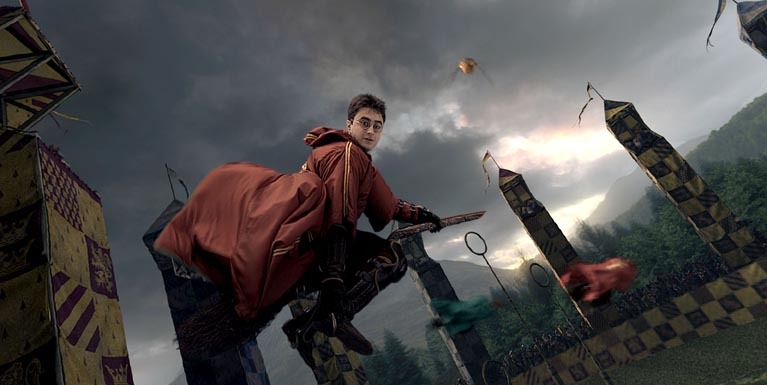 “The Wizarding World of Harry Potter” is an additional “land” inside the Islands of Adventure Theme Park and will sit alongside the other lands, including Jurassic Park, Toon Lagoon, Seuss Landing, The Lost Continent, Marvel Super Hero Island and Port of Entry. 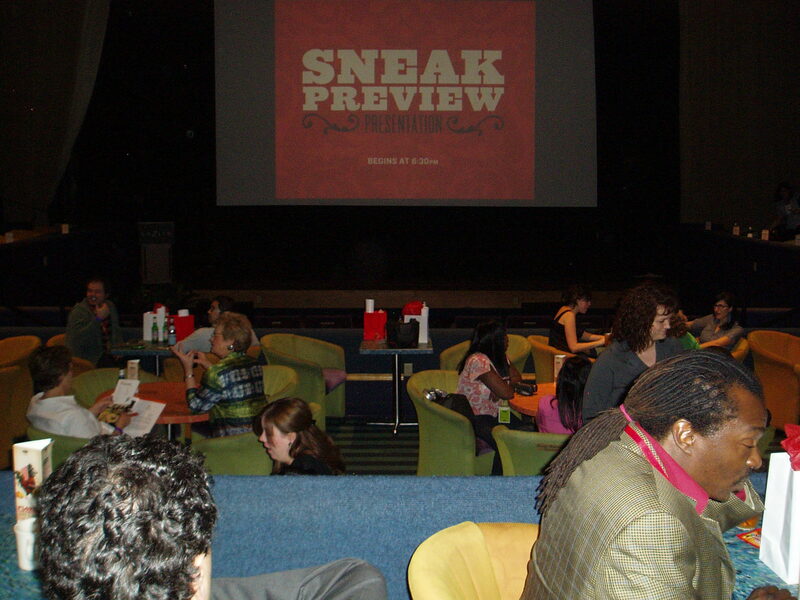 The announcement has caused a bit of a stir among guests who have already purchased tickets and travel plans to arrive during the Spring of 2010 but before the opening date of June 18. Rumors have been flying on internet travel sites making all kinds of claims from “you’re just out of luck” to “they will allow you into the Harry Potter land with a soft opening.” I will keep you posted as I discover more. I love movies. I mean, I REALLY love movies. If you love movies, don’t make the same mistake I did. Don’t wait until your life is half over before you attend your first film festival. 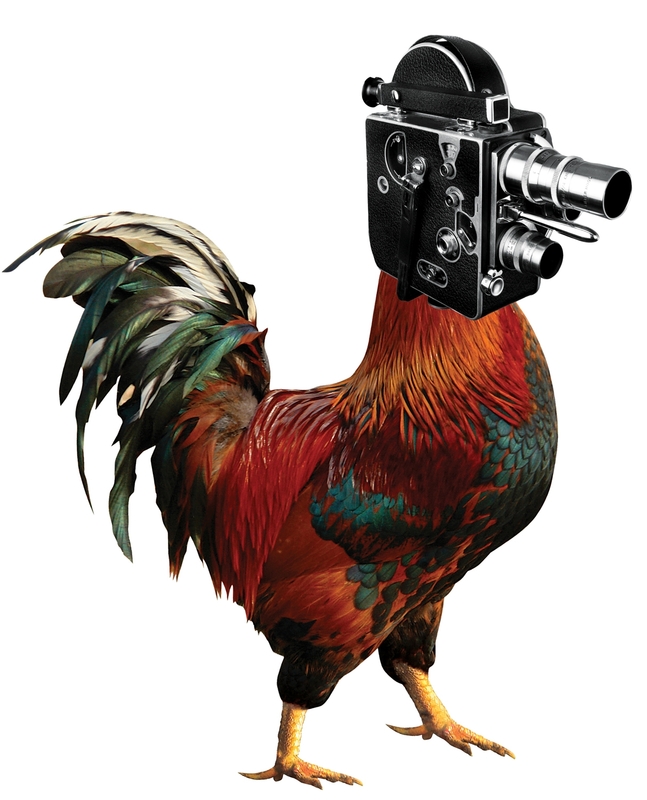 LanceAround: What, exactly, is a Film Festival? ………The ability to touch, feel and interact with the artists. Yet there are many, many people who love to make movies, but will never be part of the studio system. These range from teenagers with a home video camera to huge, bankable stars who just want complete creative control on a project. Sometimes these filmmakers finance their own film. Sometimes they beg, borrow or finagle the money–some of them mortgaging their future to make their film. Some of them are wealthy enough to make the movie on their own. In any case, these are filmmakers who are passionate about making the movie they want to make. Where do you find these movies? Usually NOT at the local Cineplex. You might find them at the local arthouse theatre. More and more of them are making their way onto the internet. But the best place to find them is at a film festival. Personally, I used to think that film festivals were only for the elite. I thought you needed an invitation, or it was expensive or you had to be in the industry. Instead, I discovered that film festivals are for everyone. Just pick a movie, buy a ticket and enjoy. 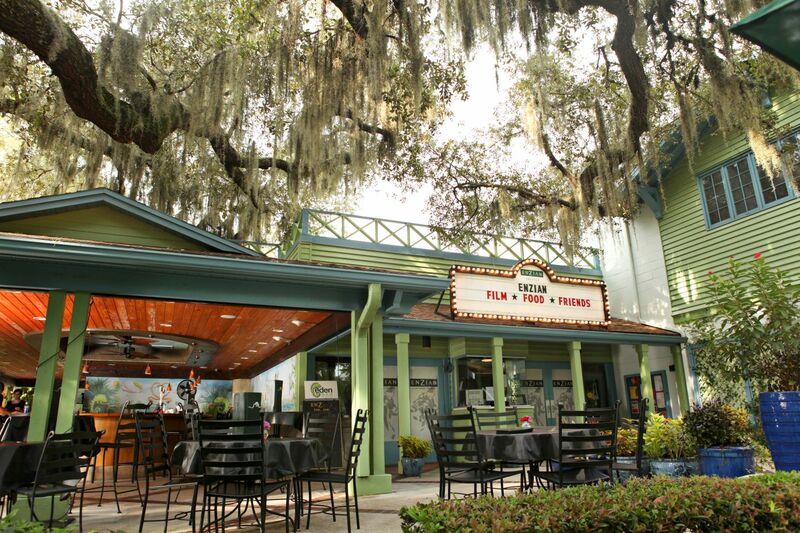 As a bonus, if you are watching one of the Florida Film Festival films playing at the Enzian Theatre, you can also order dinner while you watch the movie. It’s a blast! But are the movies any good? YES….and….NO….and VERY MUCH IN-BETWEEN! You will find some of the best movies you have ever seen. You may see some of the worst movies ever made. Most film festivals go through a selection process, so a really bad movie is unlikely. Over 1500 movies were submitted to the Florida Film Festival this year, but less than 170 will be shown. However, I am always reminded of the words of Shakespeare from “A Midsummer’s Night Dream” where the king is warned against seeing a play by the local troupe and responds, “I will hear that play. For never anything can be amiss when simpleness and duty tender it.” The king goes on to explain that even if the product is bad, one can always be gracious and appreciate the effort and energy that went into making it. The Iconic Theme of this Year's Festival is "Film Sweet Film"
Still, film festivals are something even deeper than that. Chris Blanc became animated as he explained the extra element that makes it truly special. It is the pleasure of watching a movie in a theatre packed with people who, like you, love movies. These are people who can tell whether it is the directing or acting or cinematography that is making the difference. They watch the credits to the end to find all the players who toiled to bring the film to life. Another plus about film festivals is the variety of film types. In addition to feature narratives–the kind of film you’d most likely see at your Cineplex–there are documentaries, short films, animated films and experimental films. I personally love watching a selection of short films; lasting from two to twenty minutes a film. If I don’t like a particular short film, I merely need to wait a few minutes until the next one. Usually there are anywhere from six to twelve short films played during any one showing. If that’s not enough, there is one more priceless perk–at a film festival it is not uncommon for the actual filmmakers and actors to be present. Often, there are Q & A sessions after the movie. 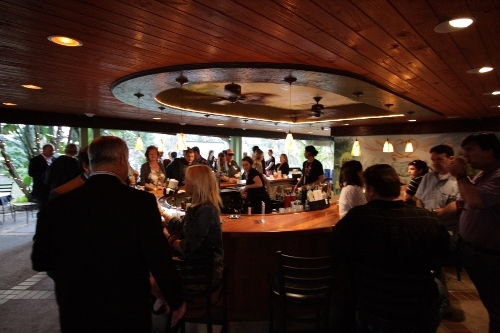 These conversations tend to continue out into the foyer and over to the Eden Bar. It’s great! Chris Blanc ended our talk by stating that it is not uncommon for someone who has never been to a film festival to feel intimidated by the prospect of attending their first festival, but once they do they find it friendly and inviting. He points out that it’s the “community engagement” that makes film festivals so special. At a film festival, there are several different screens that play the movies. For the Florida Film Festival, movies are played at the Enzian Theatre (where you can have dinner during your movie) as well as at some screens at the Winter Park Village theatre and, new for this year, some films will be shown at the beautiful, new Plaza Cinema Cafe in downtown Orlando. During the 10 day festival you can go to as many of the movies as you like or simply pick a single movie to attend. You can find the schedule and movie descriptions at www.FloridaFilmFestival.com. This year, the Florida Film Festival is held from April 9 to 18 at the Enzian Theatre in Maitland, just north of Orlando. If you are going to be in the area and you have never been to a film festival, please make an effort to attend one of the films. If you would like some company, just write in the comments which film you are going to see and I will plan to meet you there. I will describe what I will be wearing so you can recognize me and we can enjoy your first film festival movie together. I guarantee it won’t be your last! LanceAroundOrlando has just discovered that at noon tomorrow (Thursday, 25 March 2010) Universal Orlando will announce the opening date for the Wizarding World of Harry Potter. The Florida Film Festival will take place at the Enzian Theatre as well as a couple of other Orlando area venues from April 9 to 18, 2010. For the first time this year, LanceAroundOrlando has been issued press passes to cover the film festival. We are going to do something we have never done before with our blog–we are going to be onsite, almost every day of the festival, bringing you live updates from every film we see. In addition to the best in cutting-edge cinema, the film festival features indulgent experiences in food and wine; a blissful mix of industry parties and special events; a star-packed attendee list and the warmth of a community of dedicated film lovers. Even with daily coverage, it would be impossible for us to fully report on every aspect of the festival. If you are attending any of the films, parties or special events, please help us by adding your comments to this blog. 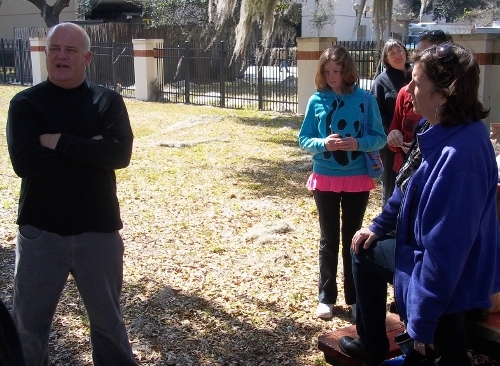 Begin your journey by seeing all the festival has to offer at their website: www.FloridaFilmFestival.com. Given the complex nature of a festival this large, note that the website is constantly updated with programming changes and additional events. Be sure to subscribe to the email updates on the right hand sidebar of my blog. From today onwards, we will be giving almost daily updates from the film festival–including advance screenings of several narrative and documentary films. During the actual festival, we will be onsite providing updates every few hours on most days. For those of you from out of town who are lucky enough to be coming to Orlando the week of April 9 to 18 and are even luckier to be regular readers of my blog, you have the opportunity for a real treat. The Florida Film Festival is one of my all time favorite activities–not just in Orlando, but anywhere I have ever been. Ever dream of writing a smash Broadway hit! Now you can–by going to the Orlando Shakespeare Theatre in Partnership with UCF’s PlayFest held from April 2 to 11, 2010 at the Orlando Shakes in downtown Orlando. You see, PlayFest is a ten-day theatre event packed with dynamic new plays and new play programming for anyone who loves great theatre. There are Readings, Workshops, special events, a Play-in-a-Day and even a world premiere! So how does this help you write that new smash hit? Well, here’s what I found out. 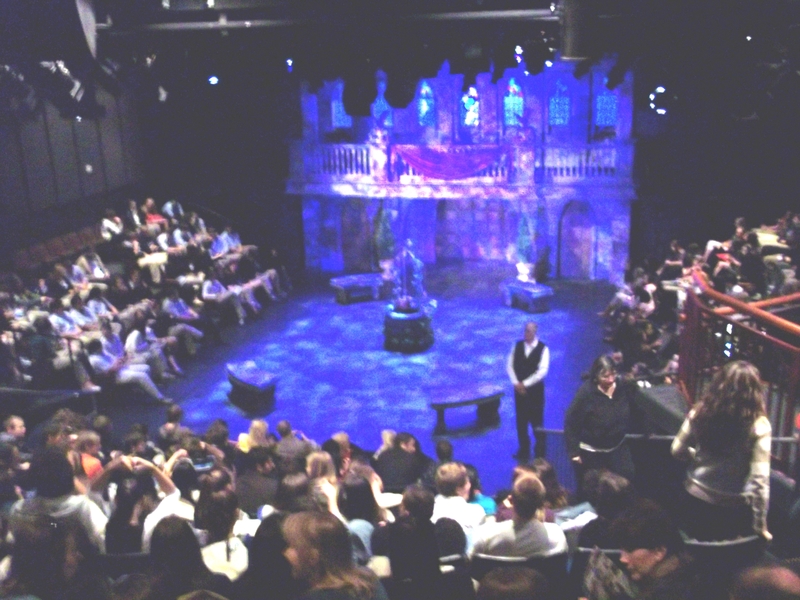 Number One Daughter’s Montessori School went to see “All’s Well That Ends Well” at Orlando Shakes a few weeks ago. Afterwards Patrick Flick, the director of New Play Development and PR for the Orlando Shakes, was kind enough to take time out of his busy schedule to speak with the students. He explained that the PlayFest provides Workshops and Readings from both accomplished and novice playwrights. At each of these events, the audience, actors and writers have a “talkback.” These informal sessions are an opportunity for everyone to discuss and critique the work with professional and amateur theatre lovers of all ages. Who knows, you might provide the feedback that helps the playwright further enhance the work. You might be the difference between obscurity and a Tony Award! At the very least, these workshops and readings will inspire and delight you. Perhaps you’ll become motivated to begin a treatment of that story you always knew would make a fantastic piece of theatre. Perhaps you’ll decide to get some friends together and extemporize over some scenes you’ve had mulling around your head. Maybe you’ll discover that it’s much harder to write a play than you’ve ever imagined. You’ll wonder if you’re up for the challenge that is faced by the playwrights who contribute to PlayFest. One thing is certain–you will have a memorable theatre experience unlike any other. For no one does theatre better than our friends at Orlando Shakes. For a schedule of PlayFest Workshops and Readings just click on this link. The Workshop is only $10 and Readings just $5. Some special events are free. And there is the much beloved annual tradition of the Play-in-a-Day. Also don’t miss this year’s special guest, Phillip Seymour Hoffman, at 7:30 on April 10. Tickets for this “Inside the Actor’s Studio” style interview with Orlando Shakes Artistic Director Jim Helsinger range from $25 to $100. So let me explain…… we had been offered some comp tickets for a show at the Silver Spurs Arena here in Kissimmee and the headliner was Larry the Cable Guy. I had never heard of him. After being told who Larry was, LanceAround googled him and we sat through a few minutes of his very active web site. So Customer Service Guru Giselle, myself and our significant others signed up for tickets. The show was Saturday night at 8pm. Silver Spurs Arena hosts the rodeo here in Kissimmee but is also a large venue for other entertainers. Currently the Osceola Heritage Park, the complex where the arena is located, is home to the Houston Astros for spring training. Also on the calendar for May 9th is country singer Wynonna Judd. Anyway I digress, back to Larry! We arrived, parked and made our way to the entrance where security checked bags. Not unusual these days, sad to say. Customer Service Guru Giselle had to throw away her bottle of water before entering. Once inside finding our seats was easy. Then we went to the convenience stands where they had the usual array of snacks to offer. A popcorn, large pretzel and soda was picked up and we were settled in for the main attraction. The warm up comedian was quite funny and did his routine getting the crowd ready for Larry. Larry came on and did stand up for just over an hour. His routine was colorful but not crude. Sometimes his very southern accent (which I am sure is not genuine) was hard to understand. He went through the usual wife, children & flatulence jokes, mixed in with some global warming and light politics. Overall it was an easy evening of entertainment. Thanks to the Kissimmee CVB and Osceola Heritage Park/Silver Spurs Arena. Once inside the open cockpit, you marvel at the twin wings of your biplane. The pilot starts the engine and the loud sputtering roar of the wooden propeller makes it difficult to hear your partner who is strapped in right beside you. As the pilot taxis to the grass runway, you feel every bump and shimmy. The bumps get more intense as the plane picks up speed. Suddenly, they stop. You notice the buildings and trees becoming smaller and smaller as the plane ascends. While the view is magnificent, the noise of the engine makes conversation impossible. Just as well; you don’t want to miss the view. You have given the pilot permission to do some mild maneuvers which creates a slight queasiness in your stomach. You look over the undeveloped Florida landscape and smell the fresh airplane leather mixed with the oily machine smells of a vintage aircraft. You can’t help but muse on how it must have felt for your ancestors to have taken this identical flight back when flying was still a novelty and barnstormers used to go from town to town giving similar flights to families filled with wonderment. The flight lasts for 15 minutes, which, ironically, feels both very short and like an eternity. 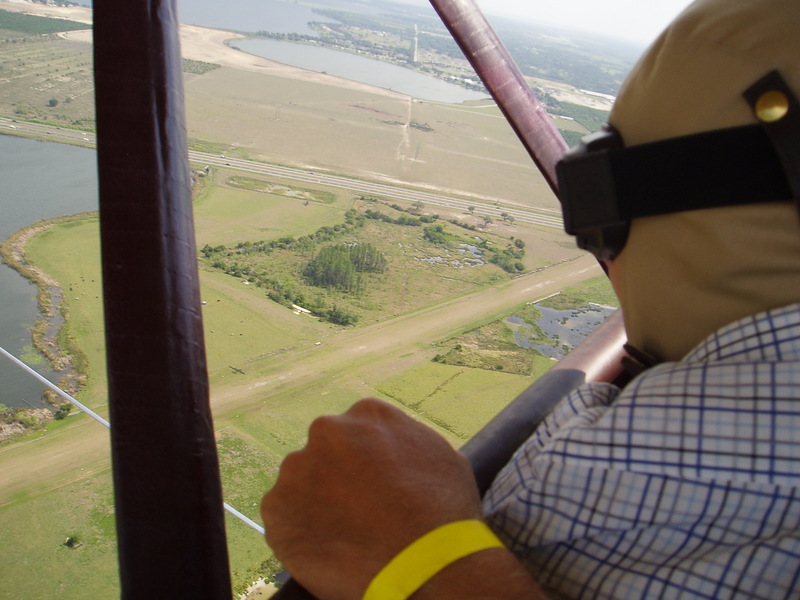 You have just experienced an old fashioned, Waldo Wright’s biplane ride–One of my picks for an “Orlando’s Best Kept Secret.” At $70/person, this 15 minute flight is a bit pricey. But the experience makes it worth the cost. Plus, you can combine the $70 plane ride with the $30 admission to Fantasy of Flight and your entire day of aeronautical exploration costs not much more than a trip to any other day long attraction in the Orlando area. 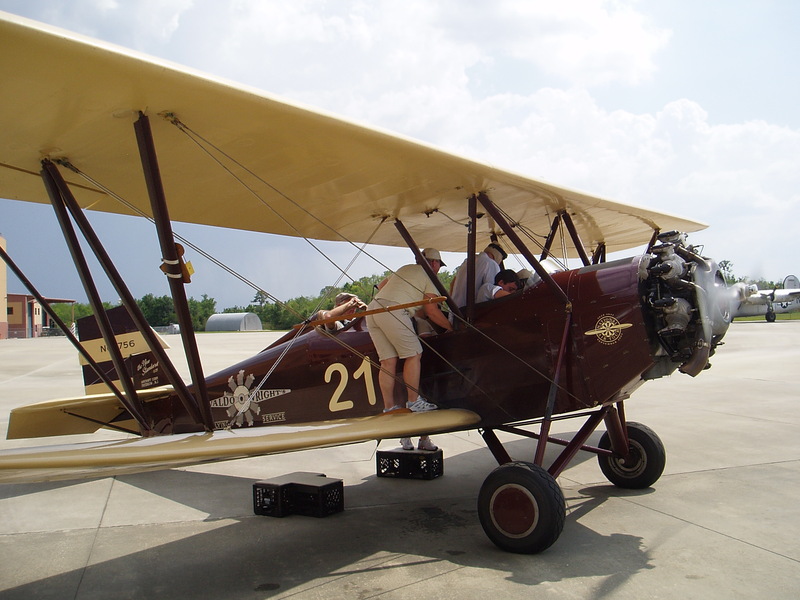 Waldo Wright’s biplane rides take off from the Fantasy of Flight runway, just 30 minutes down I-4 from Disney World. For those wanting an even more immersive experience, for $230 you can actually pilot a Stearman biplane during a half hour flight. Biplane rides, Fantasy of Flight , Balloon rides and the chance to pilot an old fashioned biplane are not attractions that are heavily advertised in this attraction packed area. But for the lucky, well-informed readers of my blog, they are the kind of off-the-beaten-path, “Best Kept Secrets” that are fun to discover during your trip to the Orlando area. In the meantime, stop by Zonko’s joke shop for some extendable ears. Pop into The Three Broomsticks for some authentic Butterbeer. Enjoy some candy from Honeydukes. See if a wand chooses you at Ollivanders. Send a Hogsmeade postmarked letter at the real Owl Post post office. Then take a ride on the best, most technologically advanced attraction ride in Orlando.